It is all well and good to have a budget, but as we all know, sometimes things come up which mean you have to juggle the money. The last few months have been rather crazy here and a lot of juggling has been going on. Rather than just move money from one account to another, or take money from one are of the budget to cover another area I have been juggling in other ways. Basically, instead of just moving money around, I have reassessed all areas of the budget and cut back where possible. I have done comparisons for virtually everything from which accounts I have, to electricity (I recently switched to Red Energy as they offered me 10% off every bill paid on time, which means every bill for me!) and been asking for discounts. I've been entering competitions, mainly blog giveaways and have won 6 in the last 3 months, which is pretty good. I have been focusing on increasing my income as well, with 2 projects set to launch next week. I have negotiated discounts in a few instances and have worked out a 3 month plan to increase my overall net worth, reduce my expenses and still live the life I want. 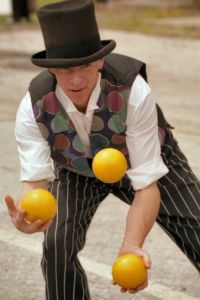 While at times juggling money can be stressful, if you create a plan to help prevent the juggling, continually seek out the best deal and compare all your bills and things on a regular basis (for example every 6 months) you won't need to juggle as much. What are your tips for handling your money when you seem to have to juggle it?